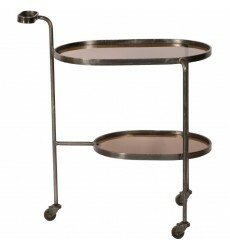 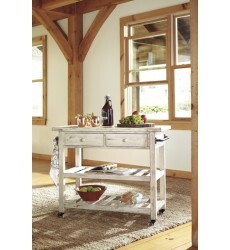 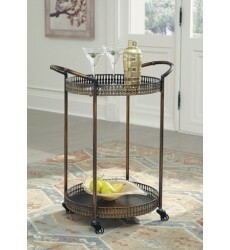 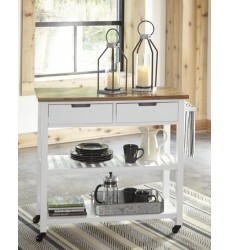 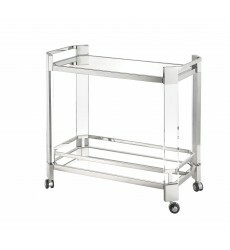 This bar cart is in a polished nickel finish. 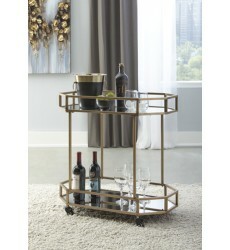 It comes with clear acrylic legs and glass top and bot..
Bar Cart.Constructed of Metal in Antique Bronze Finish.2 Shelves and Casters. 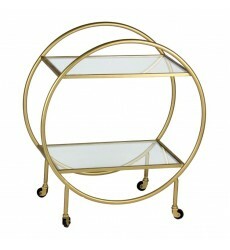 **Notice** : The di..
Bar Cart.Constructed of Clear Acrylic, Gold Finished Metal and Glass.2 Shelves and Casters. 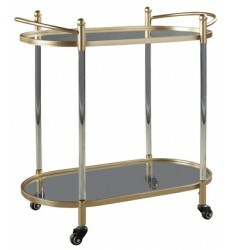 **Not..
Bar Cart.Constructed of Metal in Gold Finish and Mirror.2 Shelves and Casters. 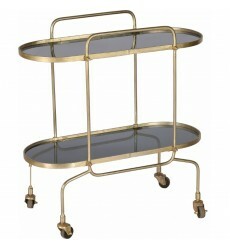 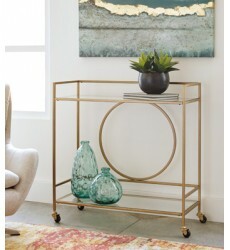 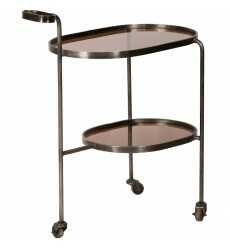 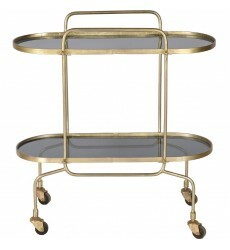 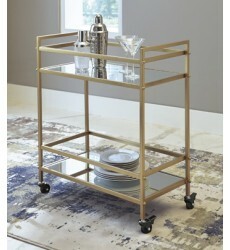 **Notice** : The d..
Bar Cart.Constructed of Metal in Antique Gold Finish and Glass.2 Shelves and Casters. 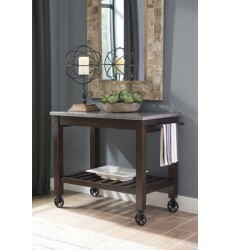 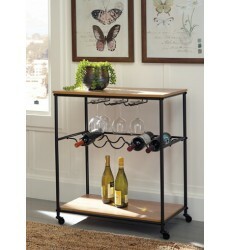 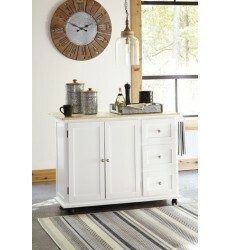 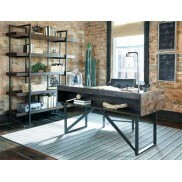 **Notice** ..
Bar Cart.Constructed of Engineered Woods in Brown Finish and Black Finished Metal. 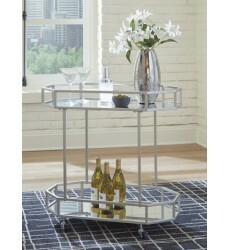 2 Shelves, Wine R..
Bar Cart.Constructed of Metal in Silver Finish and Glass.2 Shelves and Casters. 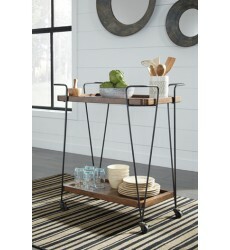 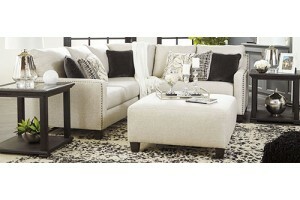 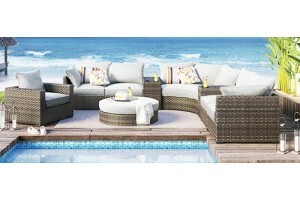 **Notice** : The ..
Made with select veneers and hardwood solids.Rich burnished dark brown wood finish.Planked and frame..
D300-766 is made with Pine solid and veneers finished in a textured white with rub through. 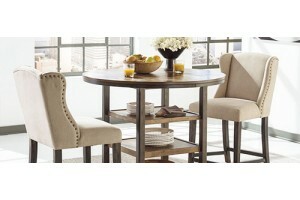 **Not..
Table and chair are made with hardwood veneers and solids in a medium brown finish.Metal accent \"pa..
D350-166 is made with engineered wood panels and hardwood solids and finished a white two-tone color..
Metal - Glass - Antique gold finish Finish : Antique gold Dimensions : W:29.5" x H:34" x D:16" ..
Bar Cart - Iron With Antique Brass Finish - Smokey Glass Table Tops Finish : Smoky Glass, Antique..
Bar Cart - Iron With Black Nickel Finish - Smokey Glass Table Tops Finish : Smoky Glass, Black Ni..